LAKE ELSINORE, Calif. - The JetHawks fell, 5-1, to Lake Elsinore at The Diamond Saturday night, but still clinched a spot in the postseason thanks to Inland Empire's defeat in Rancho. Lancaster is headed to the California League playoffs for a seventh consecutive season. Lancaster (37-31, 70-68) scored first with a run on three hits in the opening inning. Manny Melendez led off the game with a single and scored on a Tyler Nevin base hit. Nevin is now hitting .328 on the season after going 2-for-4 Saturday. That was the only run the JetHawks would score. Lake Elsinore (32-36, 66-72) tied the game in the bottom of the first and went on top, 2-1, with a Luis Guzman single in the second. The Storm added two more in the fifth inning. Antonio Santos (4-3) allowed four runs in defeat, but only one of the runs was earned. 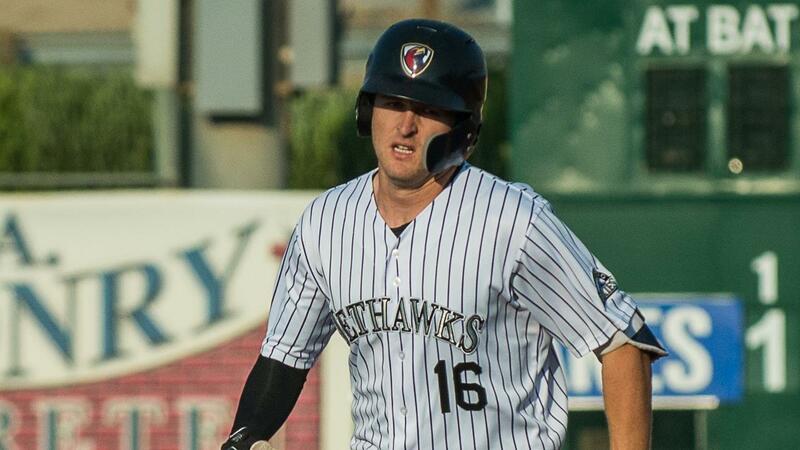 The JetHawks made three errors defensively. Ronald Bolaños (6-9) earned the win for the Storm, giving up just one run in five innings. Three relievers covered the final four innings. Lake Elsinore's staff struck out 12 JetHawks. Lancaster's magic number was one heading into the day, so Inland Empire's loss was enough to send the JetHawks into the playoffs. It marks the third consecutive year that the JetHawks and Quakes will match up in the postseason. Lancaster will host games one and two against Rancho Cucamonga Wednesday and Thursday at The Hangar. Both games will begin at 6:35 pm. Game three-plus four and five, if necessary-will be at LoanMart Field. The JetHawks still have two more regular games to play, needing a win to secure a winning record. Matt Dennis (8-12) starts against Caleb Boushley (0-1) Sunday evening in Lake Elsinore. First pitch from The Diamond is 5:00 pm.